It’s more than simply checking the compliance boxes. It’s also our philosophy that strong cybersecurity solutions and compliance programs are based on sound risk management strategy and visibility. Lynx Technology Partners’ (Lynx) IT Risk Management Services, and Compliance solutions provide holistic capabilities that combine security and risk professional services with a technology platform that automates IT risk assessments and remediation tracking to facilitate an organization’s compliance challenges. Managing IT risk is part of running any business these days. The challenges organizations face when it comes to IT risk. Utilizing a combination of automated and manual techniques . Experts you can count on to prevent malicious attackers. Managing IT risk is part of running any business these days. Regardless of what business you’re in, understanding IT risk can help you increase network security, reduce management costs and achieve greater compliance. Corporate leaders who fail to identify, assess and mitigate IT risk are setting themselves up for serious security breaches and financial losses down the road. You can only manage your risk and make smart, risk-based decisions if you can see the risks in your enterprise environment. With the complexity of mid to large enterprises, often times IT GRC projects fail due to the lack of regulatory compliance expertise and complicated implementation schedules. The challenges organizations face when it comes to IT risk management include misinterpretation of policies and controls, lack of regulatory knowledge, manual and disparate processes and fragmented IT visibility. Information Technology departments looking to gain control and visibility of their compliance initiatives need solutions to help them understand regulatory requirements, define policy and compliance objectives and automate their audit workflow process to help them complete their audit assessments in a more efficient way. Today, organizations need an intelligent approach to gaining the upper hand when it comes to assessing IT risk and managing compliance. 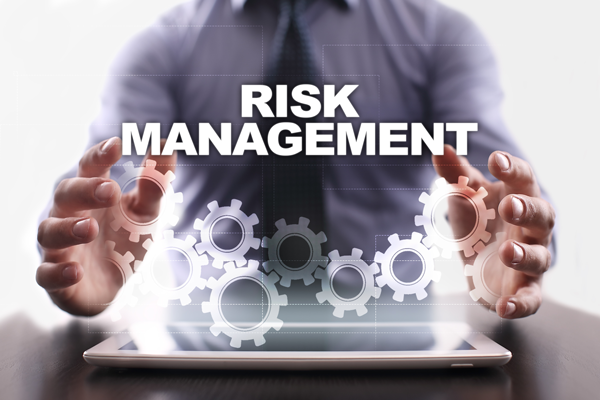 Lynx professional risk management solutions and IT GRC solutions provide IT organizations a holistic way to identify, assess, remediate and manage IT risk. Lynx consultants can help you create a program to effectively identify, assess, remediate and manage IT risk. This simple four-step framework enables IT organizations to take the lead in increasing network security, reducing management costs and achieving greater compliance by effectively assessing and classifying IT risk. An organization’s risk appetite is the level of risk they are willing to accept and an understanding of the impact that risk may have on their business operations. Lynx experts can help an IT organization target and adhere to a risk profile based on their defined risk appetite. A workflow tool that simplifies the process of collecting and asserting risk profile attributes. The workflow tool includes a survey feature that can be used to collect information from other participants. Organizations need a coordinated vendor risk management strategy that looks at vendor management in the context of business strategy, security, objectives and performance. Lynx can help develop a vendor risk management strategy that clearly understands security risk in the context of the business relationship and its value and objectives to the organization. Lynx has broad and comprehensive experience performing governance, risk and compliance (GRC) program management, information assurance, and cyber security monitoring & assessment services for commercial and government organizations. This includes conducting cyber security assessment training and performing full governance, risk & compliance assessments for the largest provider of nuclear power plants globally. The Lynx Professional Services Practice is led by a diverse, customer-focused team of senior managers who understand the value in generating an immediate positive impact for our customers, employees, and partners. This experienced team will work with you to provide IT security policy, procedures and standards development and guidance. The Lynx Application Security Assessment team utilizes a combination of automated and manual techniques to uncover vulnerabilities in your applications. Both proprietary and commercial assessment tools are used to identify all vulnerabilities. To ensure the accuracy and quality of results, we perform false positive validation on each and every finding. If we identify security vulnerabilities, the team examines how an attacker could exploit the application vulnerabilities to create a security risk or breach for the organization. We use both automated and manual techniques and leverage proprietary and commercial tools to speed the process of testing without sacrificing quality. A final report includes a list of vulnerabilities and counter measures to secure at-risk applications, assets and resources. It also contains recommendations to ensure compliance with industry best practices and regulatory requirements. Risk Management Experts you can count on to prevent malicious attackers from compromising your applications Lynx Application Security Assessment Team is comprised of nationally renowned ethical hackers. The team’s background includes Military Intelligence, Law Enforcement, and Big X Consulting. Our risk management experts are constantly working to stay at the forefront of application security and assessment technology as well as business trends through training, education and speaking. Our team of security professionals has the training, experience, and know-how to ensure that risks are not just identified, but mitigated. Our dedication to solving problems has earned us the trust of Fortune 500, Top Universities, Large Federal Government Agencies and leading enterprises in highly-regulated industries worldwide. We move at the speed of business by executing against proven methodologies and delivering technological innovations to get the job done on time and within budget. From project start to finish, our team of experts is invested in your success and will do whatever it takes to help you achieve your IT security, compliance, and risk management goals. Is your IT Governance, Risk, and Compliance Too Complex, Costly, or Just Plain Confusing? Schedule your demo of LRM today!